Can a Voluntary Auction of the 2.5 GHz EBS Spectrum Band Help Close the Homework Gap? A fireside chat featuring FCC Commissioner Jessica Rosenworcel and IIA Honorary Chairman Rick Boucher covered the prospect of a voluntary incentive auction for the 2.5 GHz band as a way to honor the educational history of this spectrum and as a mechanism to help close the “Homework Gap” – the circumstance where currently one in three households do not subscribe to broadband service while most educators assign homework involving an online component. If you missed the event, you can learn more and access the video on IIA’s EBS Event page. TR Daily, “Panelists Mixed on Rosenworcel’s 2.5 GHz Band Proposal,” January 22, 2019. CQ, “FCC Commissioner Jessica Rosenworcel and Former Virginia House Democratic Representative Rick Boucher Holds Fireside Chat on Educational Broadband Service Spectrum Band With Smart Use Today,” January 22, 2019. POLITICO, “Warner readying tech transparency measure,” January 23, 2019. FierceWireless, “Rosenworcel: 2.5 GHz spectrum key for 5G in rural areas,” January 23, 2019. Communications Daily, “Federal Shutdown Detrimental to FCC Actions on 5G, Rosenworcel Says,” January 23, 2019. Law360, “FCC Auction Might Sink 2.5 GHz, Broadband Group Warns,” January 23, 2019. Law360, “FCC Dem Pings DOJ On Sprint-T-Mobile Spectrum Holdings,” January 23, 2019. RCR Wireless, “Debating the future of the 2.5 GHz EBS spectrum,” January 23, 2019. 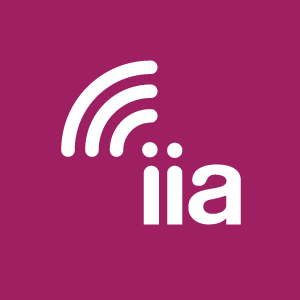 On January 3, IIA released a statement congratulating Geoffrey Starks on his confirmation as a Commissioner of the FCC and Brendan Carr on his confirmation to an additional term. You can read the full statement on the IIA site. Research Peek of the Week: The Percentage of Libraries with Apps Rises with the Size of the Population Served, January 30. Research Peek of the Week: Most Parents Talk to Their Teens About Online Privacy, January 23. Research Peek of the Week: Over Half of U.S. Children Watch Streaming Content and Live TV, January 15. Research Peek of the Week: Internet Users Can Now Choose from Millions of Apps, January 8. Research Peek of the Week: Prime Time is Still Relevant in the Era of Device Fragmentation, January 2. Selected news, writings, and studies from the month of December. Selected news, writings, and studies from the months of August and September.